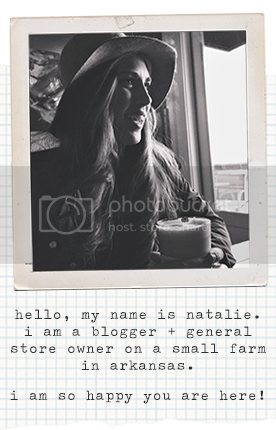 natalie creates: reduce, reuse + an epantry giveaway! reduce, reuse + an epantry giveaway! if you've been around these parts for awhile, you know i am epantry's #1 fan. i love to sing their praises from the highest mountains! epantry is a wonderful company that sends your favorite home supplies right to your door! they're cheaper than what you'll find at the store & simply put- the folks behind epantry are just so nice. plus, you can make thoughtful decisions about what you need versus those impulse purchases we tend to make at target (ahem). epantry also allows me to budget my household spending more effectively, which is a major plus. never run out of toilet paper again, my friends! epantry just launched their grove collaborative 100% organic soy candles & y'all, i'm in love. i've got a big crush right now on their seasonal scent, blood orange. 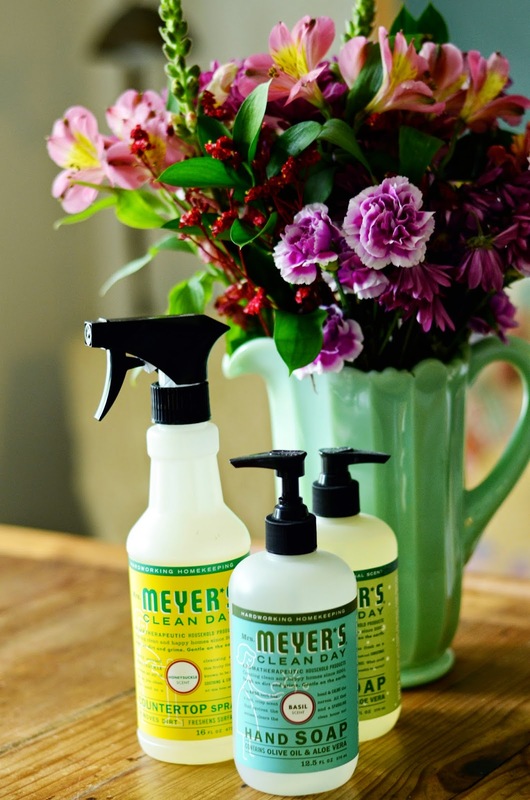 it's citrus-y sweet & makes your house smell clean even when it's a hot mess! 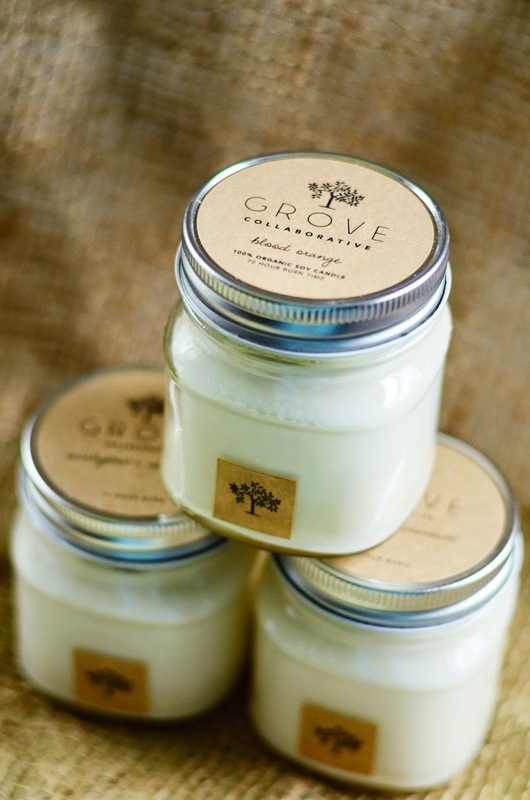 grove collaborative candles are hand-poured by a sweet family business in indiana & made with 100% organic, united states-grown soy mixed with 100% pure essential oils. the small candles burn for 70+ hours & they're inexpensive, friends! luke & i always try to be intentional about what we bring into our home. soy candles burn cleaner, longer & they're better for the environment so the grove collaborative candles are a no-brainer for us! also, my people- you can reuse the mason jar (or recycle it!)! crafty sistas, can i hear an amen? 1. once you've completely burned down your candle, scrape the remaining wax with a knife (making sure the wax is completely cool...) until it is in tiny bits at the bottom. 2. dump out your wax into a plastic baggy to reuse or into the garbage can. pull up the remaining wick & throw that away, too. 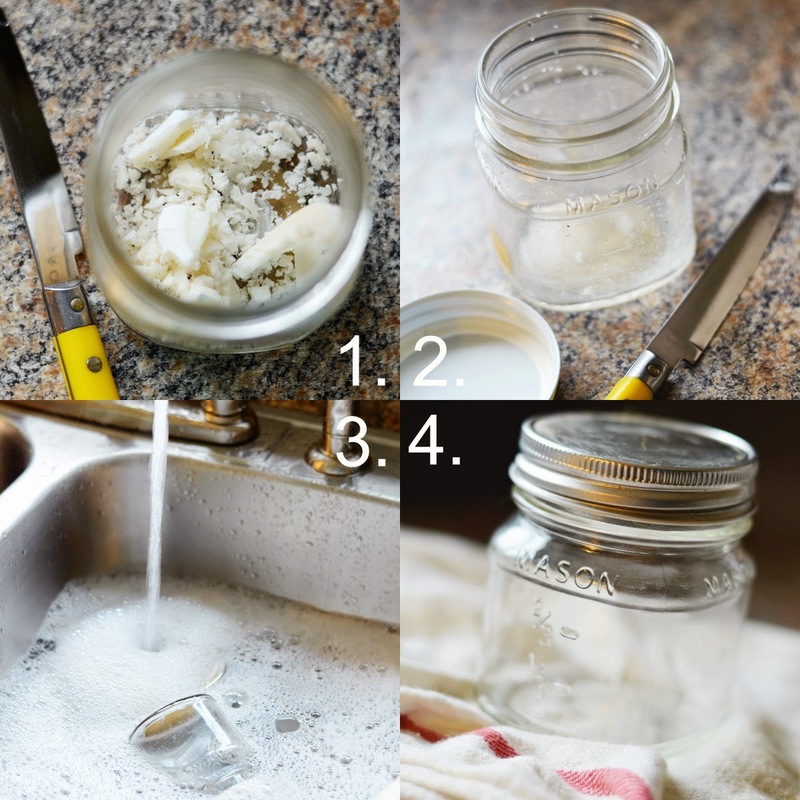 3. clean out your jar with soap & water. you can let it soak for just a minute or two, but yes - it is that easy to clean out. no chemicals necessary. if your label is extra sticky, rub a tiny bit of coconut oil on the surface & scrub for just a bit longer. 4. rinse out your jar & dry. this whole process took me all of three minutes. yay! 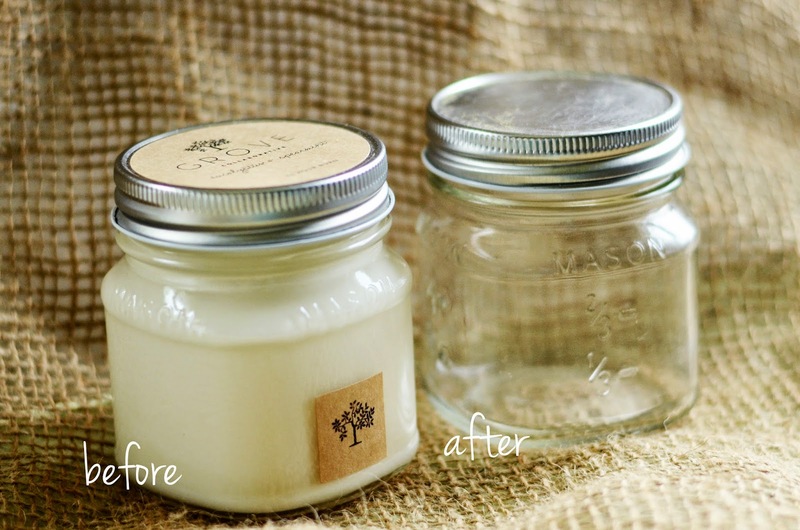 once you have your clean jar, there are hundreds of ways you can reuse it! 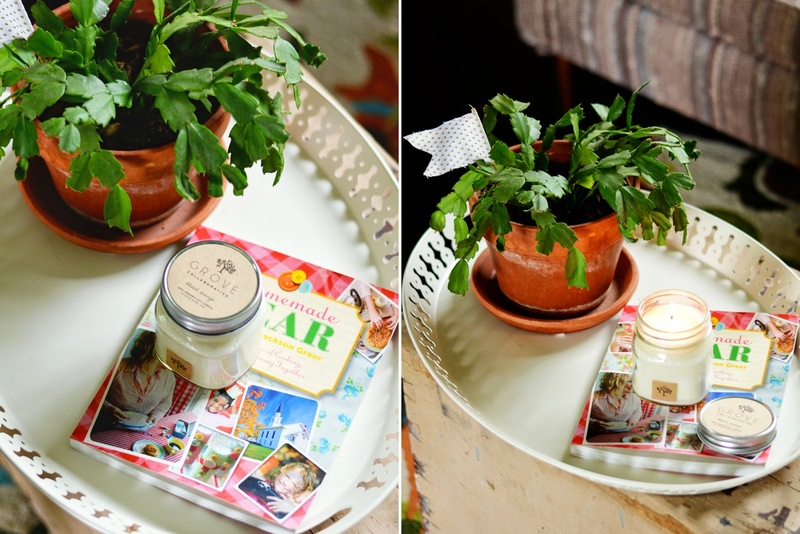 today i thought i'd share three ways i have reused my candle mason jars! 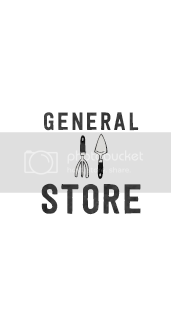 1. craft supply organizer: i use jars & cans of all types for holding my craft supplies. it keeps them organized & in sight for when my next big idea hits! 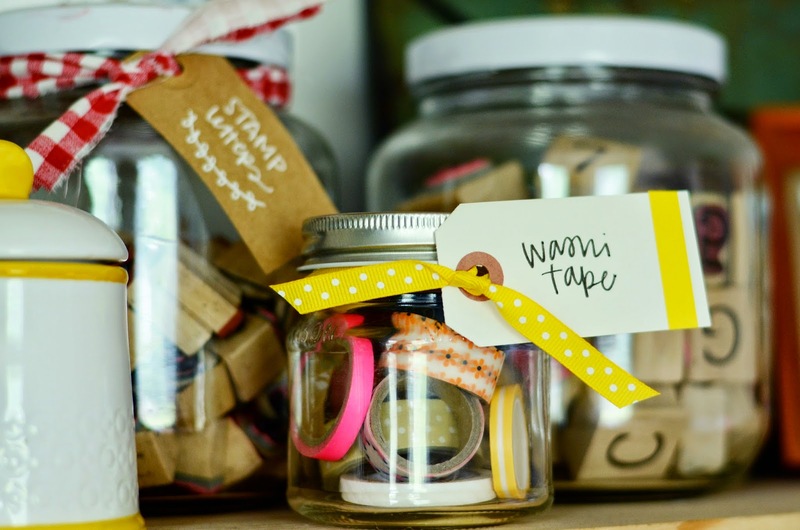 i currently keep my washi tape in one of my reused candle jars. i simply wrapped the jar in ribbon & included a labeled tag for reference. easy peasy! 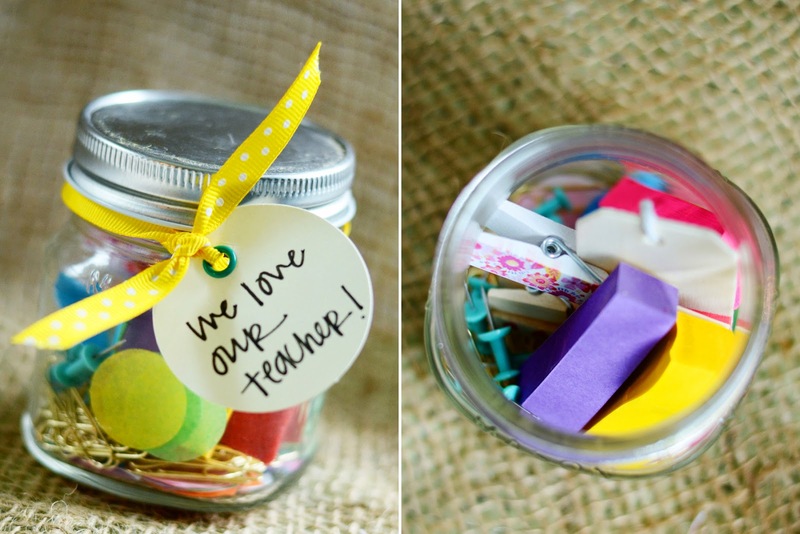 2. teacher appreciation gift: teacher appreciation day is on may 5th & what better way to tell your teachers just how much you love them than a jar full of pretty desk supplies to get them through the last few weeks of school?! to make this gift, i filled the bottom of the jar with confetti. i added a cute wooden tag & clipped four decorative mini clothespins to it. i also added tiny sticky notes, gold paper clips & turquoise push pins! i tied the jar with ribbon & added a fun homemade tag. i used what i already had on hand & with my reusable jar, this cost me $0! woo hoo! 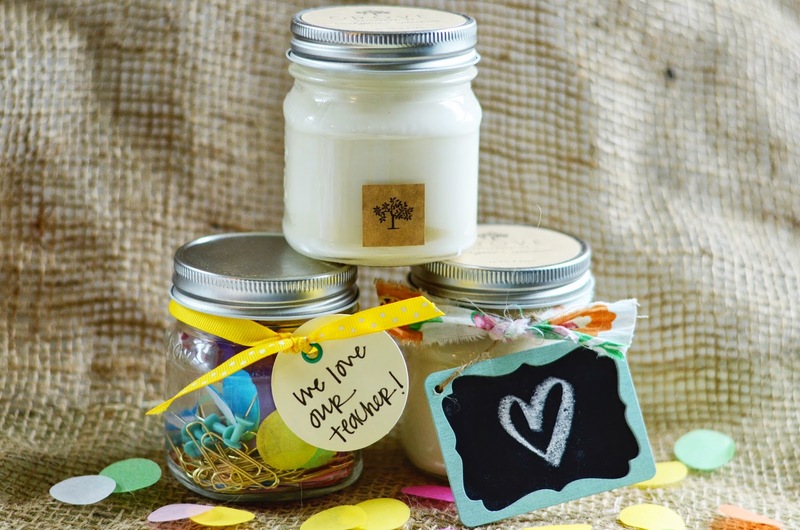 3. last minute gift idea: instead of reusing the jar, simply just gift your loved ones a candle! with every order to epantry, i always include one or two candles for easy gifting. i grab one from my stash, whip up some fabric ribbon & add a fun little tag or chalkboard tag (purchased from target in the $1 bin)! this would make the very best mother's day gift for all those women in your life who are mommas or ache to be. 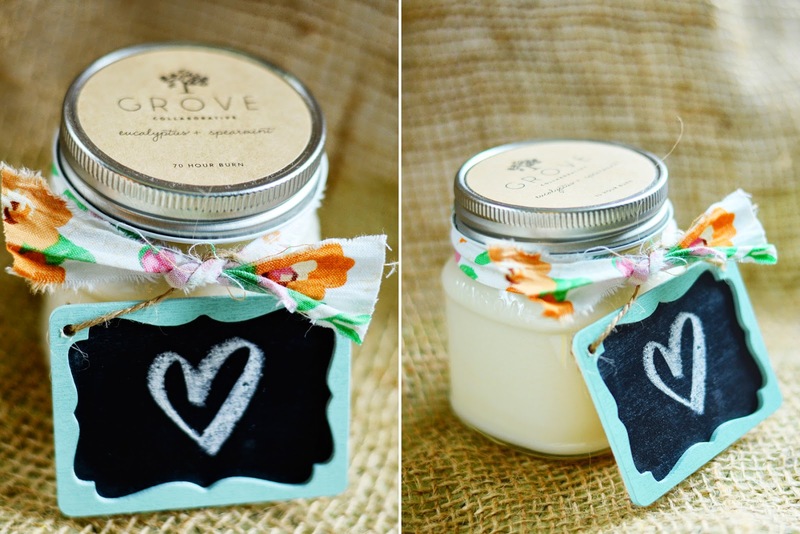 with a little elbow grease & bit of resourcefulness, there are so many ways you can reuse & re-gift your grove collaborative candles! 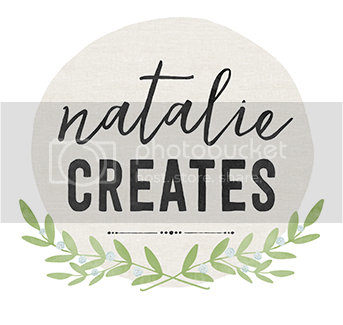 i am so excited to share that every natalie creates reader who signs up for epantry will receive a free grove collaborative 8oz candle, $5 credit & free shipping on their first order! click here & sign up today! it's honestly been one of our best decisions for maintaining chaos-free housekeeping & our home budget! how do you reuse & regift packaging within your home? i'd love to read your ideas! please share! Wow! I totally just signed up and it couldn't have been easier. Also, they asked me to tell them what I liked about the earth, and I got an additional $2 off. Holla! Epantry is great and those candles look amazing! We reuse mason jars in our home, too, for food and tea storage and storing odds and ends in our office. Wow, I am so impressed with ePantry! I decided to give them a try today because of your great offer. In addition to the candle (so excited for that!) and the $5 discount and free shipping, they gave me another $2 off for talking to a customer service representative and another $1 off for something else (signing up maybe?). Then I get an offer in my inbox that I can redeem for a free reusable water bottle ($12.95!) and 11% off my next order, but it turns out to be just for people who haven't signed up yet (which I already had). But when I asked about, they gave me the offer anyway AND another $10 credit for the confusion. WOW! And they apply the credits right away to my account so I don't have to do anything. I am blown away. I was hesitant to sign up because it seemed like additional work to get involved in an online service, but I have been really impressed! Just signed up and so excited about the free candle! 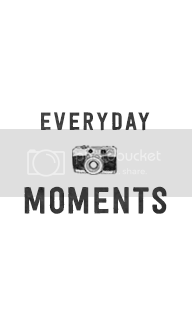 Thanks for sharing :) Love your posts!